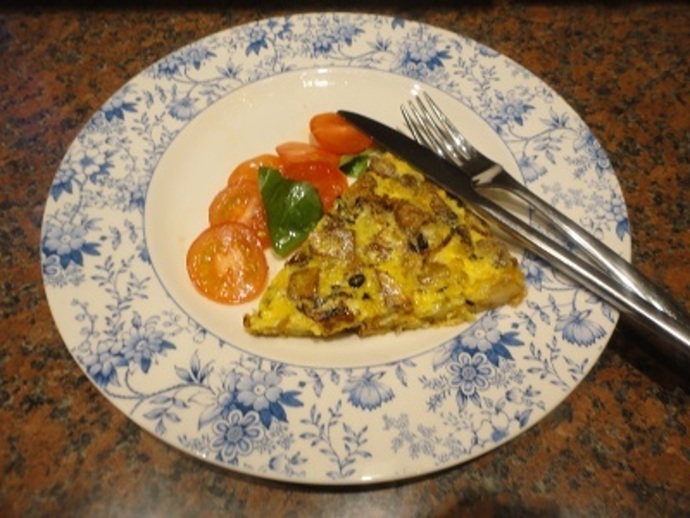 A delicious way to use eggs and make a light meal or a starter without meat. 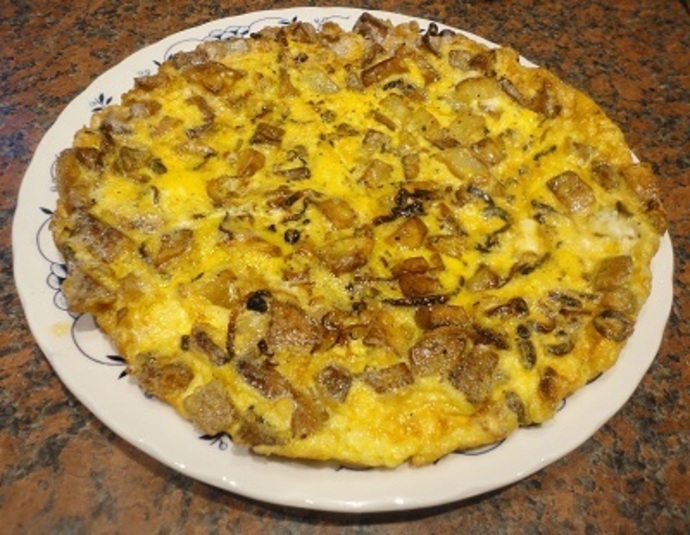 Cooking a frittata is nowhere near as fast as a simple omelette so you will have to be patient when preparing this version with potatoes and onions. 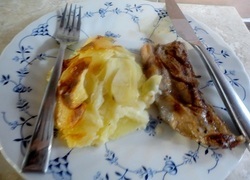 Frittate can be served hot, warm or at room temperature. I have even eaten them as sandwich fillings in Italy and they make perfect picnic food too. 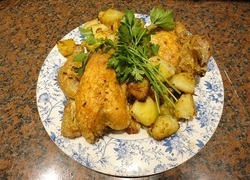 The potatoes need to be prepared, fried and cooled in advance. 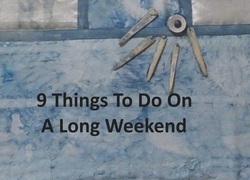 Peel and dice them into 1cm cubes, wash thoroughly in cold water and pat dry with a clean tea towel. Put a 25cm frying pan (with a heat proof handle) on the heat and add enough oil to come to a level of about 10mm. 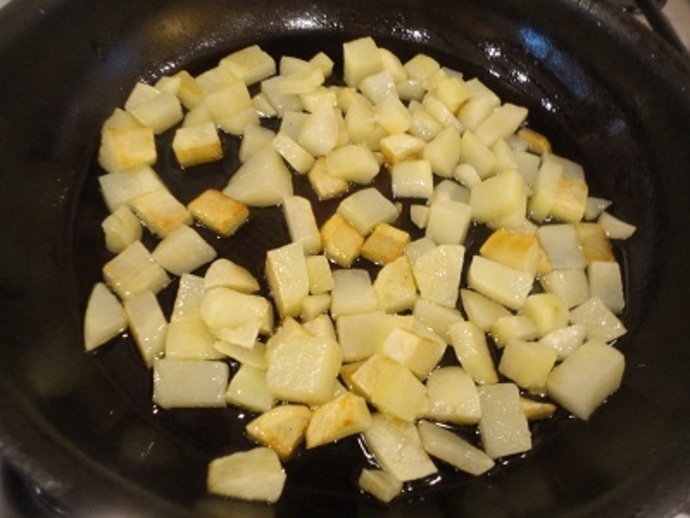 Once the oil is hot enough to sizzle when a single piece of potato is dropped in, add the rest of the potatoes and cook at a medium heat until they are tender to the point of a fork, but have not coloured. 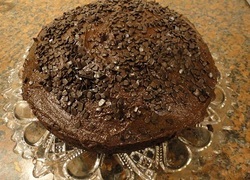 Remove from the heat, drain on kitchen paper and cool. 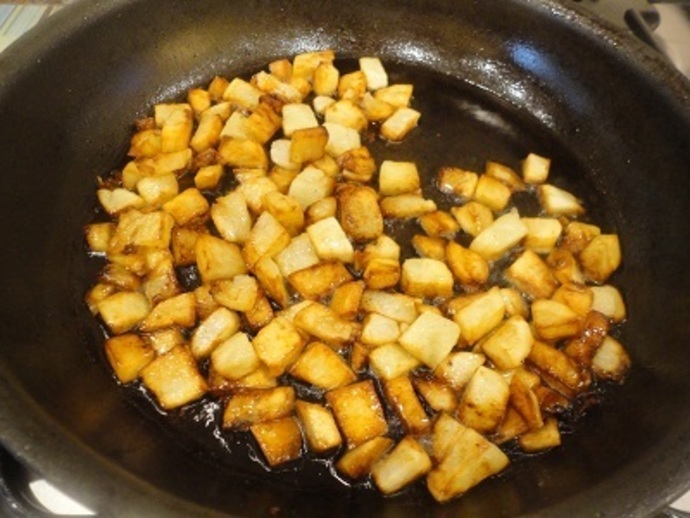 Reheat the oil to high, return the potatoes to the pan and cook until they are light brown on all sides. Remove to a plate. 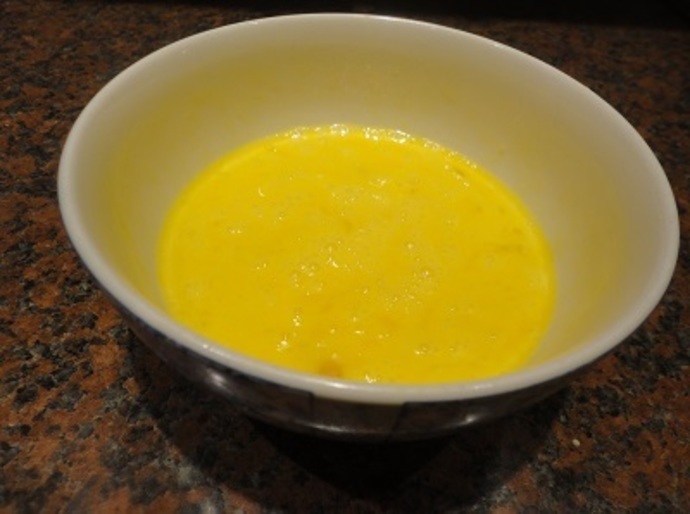 Break the eggs into a bowl and beat gently until the whites and yolks are combined. 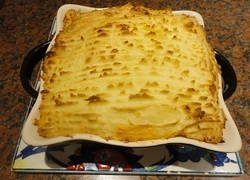 Use the pan in which the potatoes were cooked and bring back to a low heat. 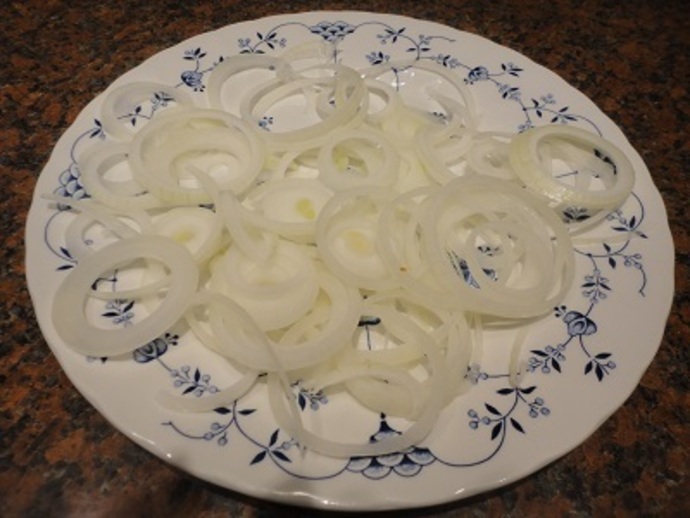 Keeping the heat low, cook the onions slices until they wilt and continue cooking until they are golden brown. 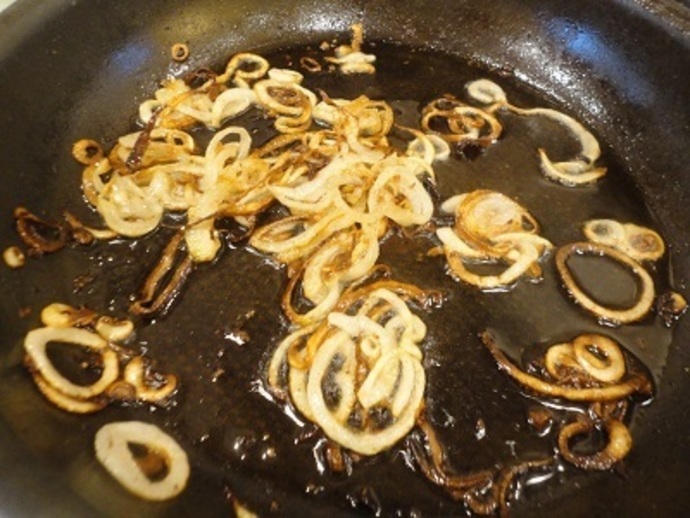 Remove the onion with a slotted spoon, discard the oil, wipe the pan and add the butter. Set the grill to high. 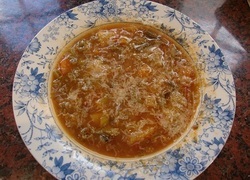 Add the cooked onion and potato to the beaten eggs in a bowl. 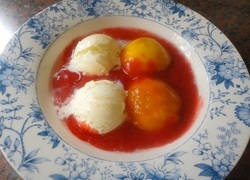 Melt the butter and as soon as it begins to foam, add the eggs and vegetables. 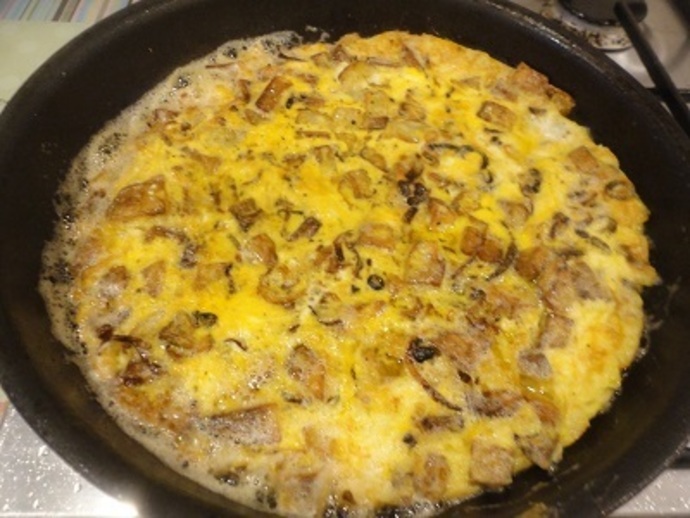 Turn the heat to low, tilting the pan so that the eggs cover the surface. 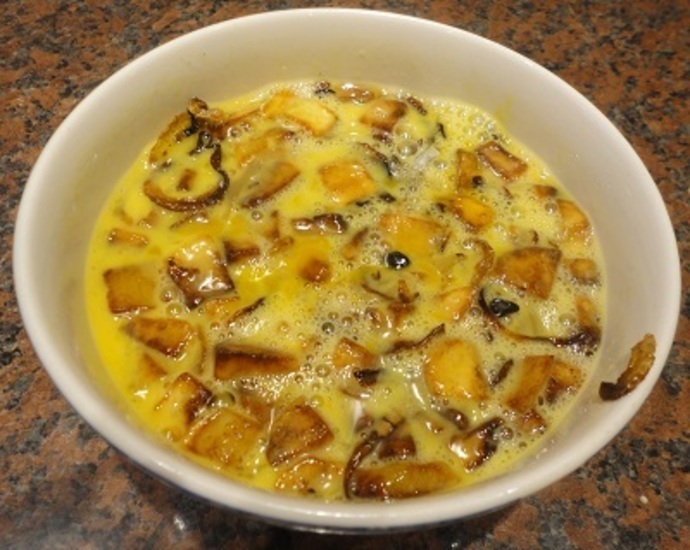 Once the eggs have set and thickened and the surface is runny, place the pan under the grill to set the top of the frittata, but remove before it browns. 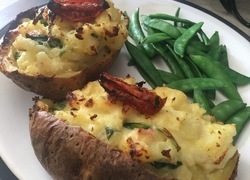 And serve sliced into wedges.